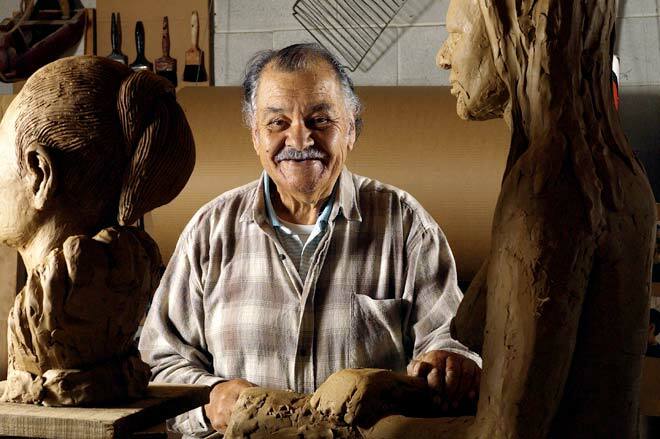 Arnold Manaaki Wilson is pictured with clay models in his studio. A leading Māori sculptor, best known for his blocky wood and stone works, he was also an important art educator. He sought to show young Māori artists how they could take strength from their heritage, but use both traditional Māori and European sculptural materials and methods to convey their ideas.